Here we are providing you updated and most relevant Study notes on Tort of Nervous Shock for Law Entrance Exam. These study notes are highly recommendable for all those who aspire to crack CLAT, DULLB, AILET and other Law Entrance Exam. A nervous shock is a form of personal injury for which damages may or may not be awarded as it depends on the facts of the case that whether the defendant is responsible for carrying Nervous shock to the plaintiff or not. The plaintiff may be a sensitive plaintiff then the test is of ordinary prudence i.e. if it would have been some other person of ordinary prudence in the given situation then it would have caused the same loss to him also. Example Nervous shock is not visible as wounds but the plaintiff/sufferer appearing on the body. The law of nervous shock is gaining popularity as a civil wrong and many cases are settled in court of law giving relief to the plaintiffs. The law of nervous shock has developed in a slow phase as before the case of Duliue Vs. White it was not recognized as civil wrong and no compensation was granted prior to Duliue Vs. White. The plaintiff a fisher-woman was unloading baskets of fishes from the cart. She saw a motorcyclist go past her, in top speed. A short while, she heard a collision. She went to the accident spot and saw blood spluttered all over. She suffered nervous shock and as she was carrying a child, she delivered a stillborn child. She sued the legal representatives of the deceased motorcyclist. She was not allowed any compensation, as the deceased could not have foreseen the nervous shock suffered by the lady, also he owed no duty of care to her. Applicant servant negligently allowed the plaintiff to drive over a railway level crossing. The cart was saved because of diligence of cart driver but the lady sitting inside who was pregnant lost her children as the escape was so near and the damage was so alarming, she also sustained nervous shock and could not sleep throughout nor remaining life without medicine even then the court held that as there was no physical impact so damage can’t be paid. But after the case of Duliue’s it was clear that nervous shock is a civil wrong and defendant would be liable considering the situation and remoteness in damages. The defendant’s servant negligently left a motor lorry unattended with engine running at the top of a narrow street which contained a steep ending. It (Lorry) went down the street and injured the plaintiff’s daughter. The lady did not witness the accident but saw lorry coming down without the driver by the street the lady told that this monstrous lorry had hit the girl child. She being the mother of girl had a nervous shock and died as a consequence. It was held that driver was negligent and liable for the damage of the mother. The defendant’s taxi (cab) driver was negligently backed into a small boy (on a tricycle) and slightly damaged the tricycle. Mother heard screaming of child and looked out of window saw the tricycle under the cab but could not see her child. She had a nervous shock and as a consequence driver was held liable. 2. The defendant’s taxi (cab) driver was negligently backed into a small boy (on a tricycle) and slightly damaged the tricycle. Mother heard screaming of child and looked out of window saw the tricycle under the cab but could not see her child. She had a nervous shock. Will the driver be liable? 3. The defendant’s servant negligently left a motor lorry unattended with engine running at the top of a narrow street which contained a steep ending. It (Lorry) went down the street and injured the plaintiff’s daughter. The lady did not witness the accident but saw lorry coming down without the driver by the street the lady told that this monstrous lorry had hit the girl child. She being the mother of girl had a nervous shock and died as a consequence. Will the driver be liable? 4. The plaintiff a fisher-woman was unloading baskets of fishes from the cart. She saw a motorcyclist go past her, in top speed. A short while, she heard a collision. She went to the accident spot and saw blood spluttered all over. She suffered nervous shock and as she was carrying a child, she delivered a stillborn child. Will the defendant be liable? 5. Applicant servant negligently allowed the plaintiff to drive over a railway level crossing. The cart was saved because of diligence of cart driver but the lady sitting inside who was pregnant lost her children as the escape was so near and the damage was so alarming, she also sustained nervous shock and could not sleep throughout nor remaining life without medicine. Will the defendant be held liable? 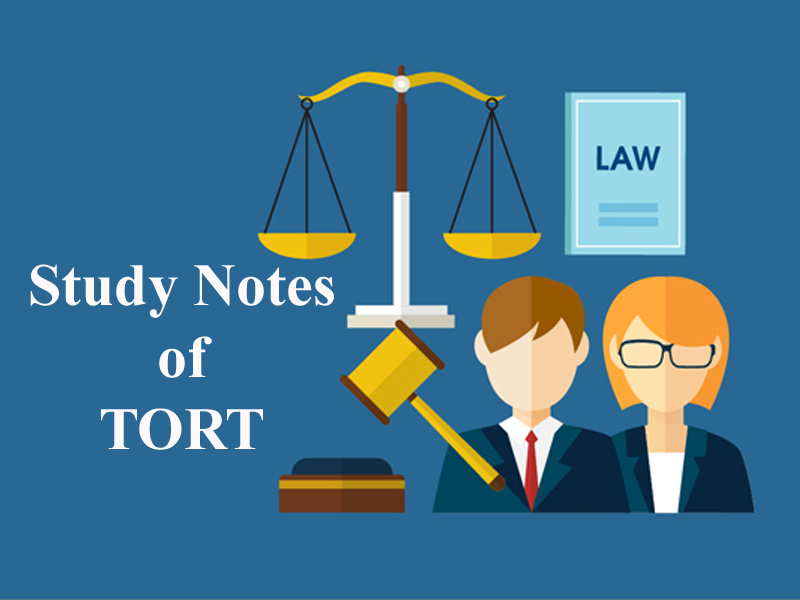 Get the updated and most relevant study notes on Torts of Nervous Shock for upcoming CLAT and other Law Entrance Examination.